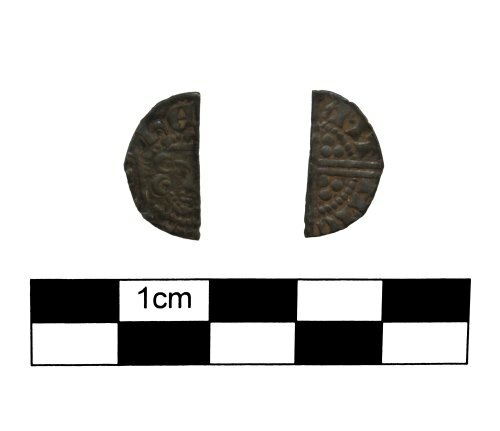 Henry III cut half coin. The obverse depicts the bust of Henry III wearing a crown and holding a sceptre, the letters 'he' are visible. The reverse has wording which is illegible. There are 2 quarters remaining on the reverse each containing 3 pellets. The coin weighs 0.5g and has a diameter of 16mm when whole.